Betty was a person of great integrity, continually striving to follow the Christian principles of humility and empathy. She was selfless and generous with her time and talents, assisting her immediate family and friends, as well as the community at large. While personally frugal, she gave generously to charitable and humanitarian causes, caring most deeply about causes that protected the environment, promoted tolerance, and furthered human equality. She held a lifelong concern for women’s issues, and actively supported women in politics. Betty was talented in art and music, and was fascinated by the natural world. Though born and raised on the plains of Canada, she studied the plants and animals of her adoptive state of Ohio, and passed this knowledge on to her children and grandchildren. 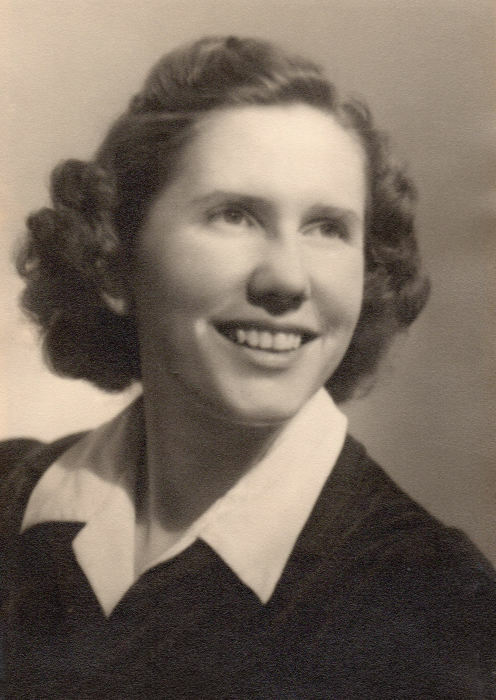 She loved to play Scrabble and played almost every week with her daughters. Betty was an avid sports fan, especially of the Cincinnati Reds and Ohio State football and basketball. She was kind and good-natured with people of all backgrounds and ages, and had a wry sense of humor most noted in her later years. Betty was preceded in death by husband Vernon Richard Schmitt and older sisters Marie Hames Douglas and Ellen Hames Shand. She is survived by daughters Helen (Richard) Mitchell of Boulder, Colorado, Janet (John) Dobson and Alice (Gary) Schmautz of Springfield, Ohio, and grandchildren William and Phillip Mitchell of Denver, Evan Dobson of Seattle, Colin (Kaitlin) Dobson of Springfield, Emma (Joseph) Dominguez of Palm Springs, California, Hanna Schmautz of Springfield, and Abby Schmautz of Denver. A memorial service will be held Friday, Feb 1 at 10:30 a.m. in the Club House at Springfield Masonic Community. A luncheon and celebration of life will follow at noon in the Community Center. Friends are invited to attend either or both. Memorial contributions may be made to The Nature Conservancy or Habitat for Humanity International. Richards, Raff & Dunbar Memorial Home has been entrusted with the final arrangements. The family wishes to express our heartfelt thanks to the medical community, especially Drs. Jerald Dudney, Daljeet Singh and J. Michael Smith for helping Betty live a long, productive and fulfilling life. You may express condolences to the family at richardsraffanddunbar.com.